Our real estate agency offers a variety of spectacular properties for sale in torrevieja (Costa Calida) for those who are looking for a peaceful area to reside. Torrevieja - Costa Blanca belongs to the autonomous community of Murcia (Spain) and is located inside it. Torrevieja - Costa Blanca is a city of about 35,000 inhabitants, which are located a few kilometres from the coast. As one of the most important cities in the Region of Murcia, our real estate agency has an extensive range of properties to buy. More than 90 homes for the client to find the property that best suits their priorities. Plots, townhouses, villas and other housing styles, Casas Espania has its web catalogue. 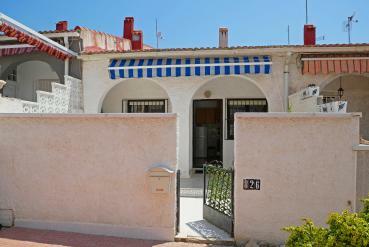 In it, you can browse ownership by property, all the details that our homes have for sale in Torrevieja - Costa Blanca. To be able to offer professional advice, our professional agents will offer you the best properties in Torrevieja - Costa Blanca, depending on your tastes and / or needs. You can ask any questions and they, as far as possible, will solve all the questions. Some of the main advantages of our properties for sale in Torrevieja - Costa Blanca are its climate and its proximity to the Mediterranean coast. On the one hand, the weather in this city is fabulous. Their winters are characterized for being pleasant and their summers for being very hot. In this way, if you decide to buy one of our homes, you can live comfortably and quietly, a city with an ideal climate. On the other hand, its proximity to the sea, will allow its residents to enjoy some formidable beaches, traveling a few kilometres. In our properties, you can sunbathe and bathe in a pool. But when you want to spend a different day with your family, you can enjoy a wonderful day on the beach. You decide how and when. Get in touch with our real estate sales agency and start living in one of our properties for sale in Torrevieja - Costa Blanca. Our office is in Torrevieja and La Zenia (Orihuela Costa). By entering our website and accessing our contact section, you can choose the best way of communication. Our customer service email is info@casasespania.com. Write to us and when we receive the message, we will respond immediately.